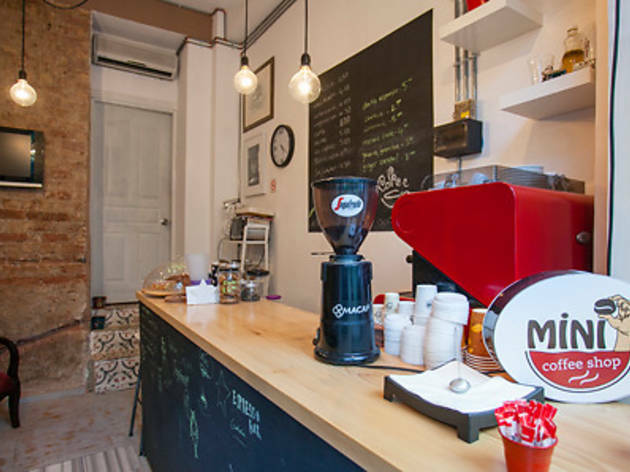 As its name suggests, Mini Coffee Shop is a petite take away coffee shop located on Lülecihendek Sokak, right where Karaköy, Galata and Tophane intersect. Its colourful flowerpots, wooden tables and regular host of cats help add to its irresistible charm. Once you step in, the overwhelming scent of coffee envelops you. Owner Alper Çelik says he originally envisioned the shop as a place to stop by, grab a few bites and enjoy some quality coffee before heading to work in the mornings. The design of the venue reflects this purpose, with several small stools scattered about where the early risers can benefit from Wi-Fi. In addition to rather strong Segafredo coffee, you’ll also find espresso, latte, macchiato, mocha, cappuccino and ice coffee varieties here. For a non-caffeinated drink, we recommend the non-alcoholic ginger cocktail with lime and soda. Thanks to a neighbourly collaboration with Cloud Nine next door, you can also enjoy desserts like carrot cake, mosaic cake, light almond tart and chocolate chip oatmeal cookies along with your coffee. 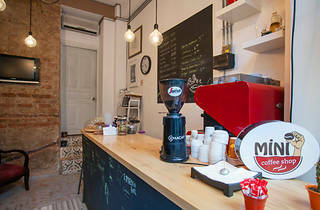 Mini Coffee Shop has yet to start offering pre-packaged coffee, but we’re eagerly anticipant.